I was hoping to see some collage at the recent Phillips Collection exhibit of Georges Braque, but the emphasis of the show was on a different time period. 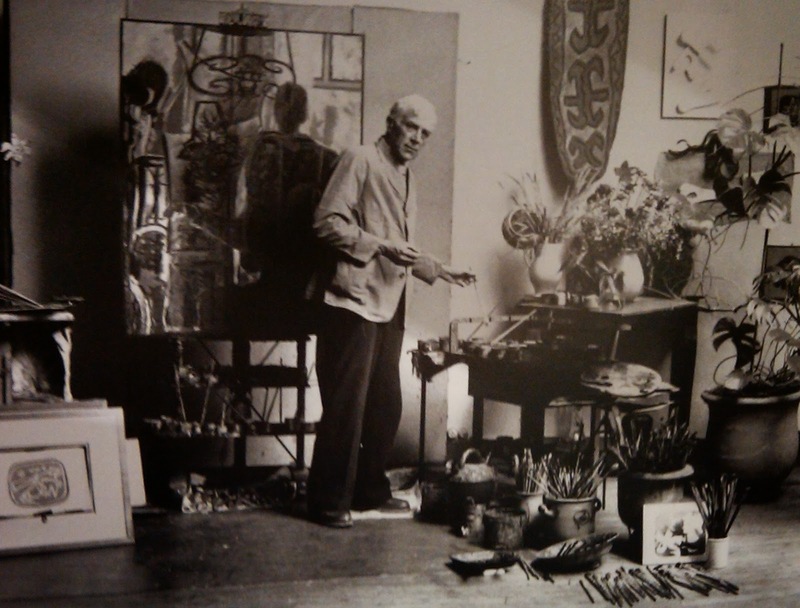 Braque worked closely with Picasso and began to experiment with collage in 1912, creating the "papier colle," or "pasted paper," technique. He first used wood-grain paper made for interior decoration and pasted it into his drawings. He also pasted cut-up advertisements into his paintings. At the same time, Picasso began to make collages, although his techniques were different. The experimentation with collage led to mixed media in Braque's work. He later began to mix sand into his paint, which he made himself from natural pigments, giving a rough texture to his paintings. This post brings to a close my summer of collage.